Brooks Brother's, known for their stylish clothes in today's business world, has been around for almost 200 years, making it the oldest clothier chain in the United States. As a young Marine, I remember reading W.E.B Griffin's The Corps novel series which romantically described two young Marine officers ordering their uniforms, during WW II, from Brooks Brothers because they used the finest materials. But, even though a company has been around for almost two centuries doesn't mean that they can't make mistakes. Whenever that happens, it's an opportunity for the business to excel by correcting the issue. 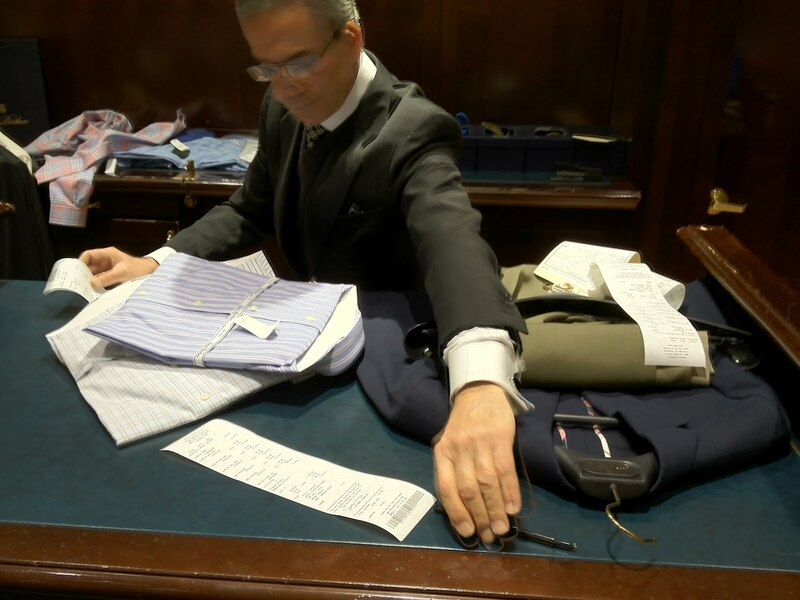 About a month ago, I bought a sportcoat, cuff links, shirts, and slacks at Brooks Brothers. The sports jacket and shirts were a perfect fit, but the slacks needed tailoring which would take about two weeks. A few days after purchasing the clothes, I wore my new sportcoat and immediately noticed a couple white marks on the back. I took the sportcoat back to the store and my sales associate, Anthony, recognized it as chalk marks. He took it into the back and cleaned it up. I tweeted about it on the way out of the store and I was surprised to see that Brooks Brothers immediately tweeted back and thanked me. @JoeMoreno Our pleasure, sir. And your kind esteem is most appreciated. A couple weekends later, I went to pick up my trousers and one pair didn't fit properly, so they marked it to be taken in. The following Saturday, I went back and the pants still didn't fit correctly – the seat was too big. They made a couple chalk marks and asked me when I needed them. I told Anthony that I was leaving the following day on a business trip to Annapolis. Anthony said that it wouldn't be a problem, just stop by, tomorrow, on the way to the airport. When I returned on Sunday, one of their tailors had mistakenly let out the seat, rather than take it in. They checked the tailoring instructions card and confirmed that it said "take in" not "let out." At this point Anthony was a little annoyed at the poor service. He called for their best tailor, Tino, who came out, took a measurement, made a chalk mark, and suggested that I go get a cup of coffee – he'd have my pants fixed in 15 minutes. Lo and behold, when I came back, the pants fit perfectly. They were spot on. Even though they made a couple mistakes, I certainly felt well taken care of. While I was waiting for my last fitting, my wife and I wandered over to the Ralph Lauren store not too far from Brooks Brothers. After all, Ralph Lauren, who's worth more than $6B, got his start working at Brooks Brothers and even licensed the Polo trademark from them. Unfortunately, Ralph Lauren doesn't stock the one item that I was looking for: simple collar stays (Brooks Brothers collar stays are too long for Ralph Lauren collars). The sales rep referred me to one of the mall department stores. 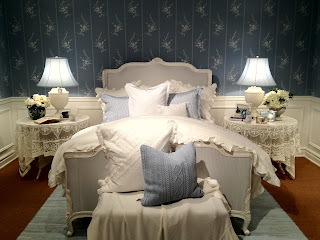 However, the Ralph Lauren store did have a beautifully decorated "blue room" which my wife fell in love with. I didn't know that Ralph Lauren did interior design. It can't be cheap. Brook Brother clothes are always amazing. I buy my husband business clothes from there when he goes to his business trips. It's a lot better to avail of cheap flights to Manila and just spend more of our money in buying excellent clothing. As much as I love their clothes, I love their customer service too. One thing I love about their clothes is that they do not mess up easily. When I leave my car at the parking at perth airport, I just carry my suits until I board the plane and they are all still nice when I get to my destination.